« Visit Woodstock History Center On Wassail Weekend – Or Any Time! Billings Farm & Museum helps keep 19th century rural Vermont alive with all they do. An operating dairy farm right here in Woodstock, the facility focuses on rural life, work, and land stewardship based on the traditions and values of the 19th century. 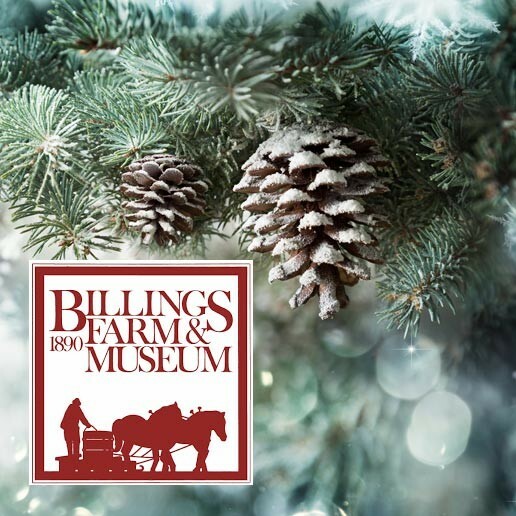 During Christmas at Billings Farm & Museum, visitors will be treated to tours of the authentically decorated, historic farmhouse. The scent of holiday goodies baking in the cozy kitchen’s wood stove will tickle your nostrils as you marvel at the simplicity of their decorations and lifestyle. Visitors may also watch or partake in making 19th century Christmas ornaments, pomanders, snowflakes, or dipping candles. Many of the farm’s interactive programs, such as Milking the Herd, will be available. You can also enjoy horse-drawn sleigh and wagon rides, weather permitting. Showings of the Academy Award® nominated film, “A Place in the Land” round out the activities. For more information on Billings Farm & Museum, be sure to visit them online at: www.billingsfarm.org. Deer Brook Inn, is a Woodstock, Vermont B&B housed in a charming 1820’s farmhouse. Our inn’s historic exterior is stylishly merged with modern conveniences like en suite bathrooms, in-room heating/air conditioning, high-speed WiFi, 600 thread count sheets, and so much more. Book your stay at Deer Brook Inn today!